Can Seth Rollins Title Run Be Successful? Seth Rollins cashed in his Money In The Bank briefcase at Wrestlemania 31, making history by being the first man to do so at a Wrestlemania(in the main event no less). The possibilities seem endless for Seth as champ, as he could carry that belt for a very long time, maybe even into Wrestlemania 32 for a year long title reign before dropping the championship. So far, about a month into the reign, we've seen Rollins continue his feud with Randy Orton, along with put on a great non title match against Neville on RAW. 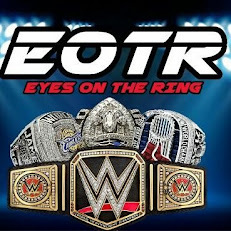 We know the match against Orton at Extreme Rules will likely end with Seth walking out as champ still, but the question afterwards would be... What's next? -Bryan is still the most over guy on the roster, and despite lingering issues with his injury, he's the best candidate for a feud at Summerslam or Wrestlemania 32. The story of Bryan working his way back up to the title picture after dropping the IC title belt and dethroning Seth for the WWE Championship at WM32 after winning the Royal Rumble would be amazing. Seth vs Bryan in a 25-30 minute main event at Wrestlemania for the title is a wrestling fan's dream. I can only assume that this match happens at some point, and when it does, the crowd will be on fire. Like I said, I'd do this at one of the bigger PPVs with Bryan going over to be the one who dethrones me likely. Who would the 2nd best option be? -This is totally a long shot, but think of the matches. Say Finn comes up to the main roster in May, makes a big splash, then gets a shot at say Night of Champions and Hell In A Cell? The intensity would be off the charts, the matches would be insane. Not likely, but a definite fun idea. -I'd like the idea of a Bray vs Seth feud. They're both heels and Bray is coming off of a strange loss to Undertaker at Wrestlemania, but he could very well turn his momentum and gain a title shot. 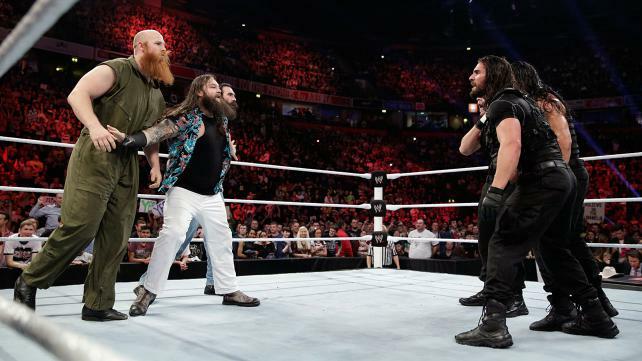 This is extremely a long shot but Bray has never really had a title match and I can only wonder where his character goes next. Maybe a tweener turn? There is still that chance we see Brock is Seth one on one as well, which would be great and make sense with Brock virtually being a huge face in the company after his WM31 feud with Reigns and disobeying the Authority's rules. This could very well be the Summerslam main event, which I'd expect to be competitive, yet end in foolery. There are more options to choose from, and while Seth's reign is just beginning, it is firmly up to the WWE Creative Team to give him worthy feuds and matches to make it mean something. Will the WWE get this right, or drop the ball? Only time will tell.